The Central Subway, originally slated to open in 2018, is currently scheduled to be completed by December of this year. Mar. 24, 2019 1:30 a.m.
Contract disputes are threatening to further delay Muni’s $1.6 billion Central Subway project, potentially pushing it past its targeted opening date of December 2019 into mid-2020, or beyond. That’s the warning from the project’s independent monitor, known as a Project Management Oversight Contractor, in a March 5 report to the federal government. The oversight contractor warned that ongoing contract disputes between the San Francisco Municipal Transportation Agency and the Central Subway construction contractor, Tutor Perini Corporation, threaten the project’s schedule and budget. The Central Subway Project may one day soon whisk riders from the South of Market to the heart of Chinatown, but was originally set to open in December 2018. That date slipped after construction delays in Chinatown, as well as an incident where a contractor laid 3.2 miles of the wrong type of steel track, as reported by the San Francisco Examiner last year. Now slated to launch in December 2019, the project could get pushed back beyond May 2020 if ongoing issues are not resolved, the oversight contractor warned. The project’s contractor Tutor Perini has a somewhat notorious reputation in California, with its CEO Ron Tutor having earned the nickname the “Change-Order Artist” from the late Los Angeles Mayor Tom Bradley for his company’s many contract change notes, which are known to balloon project costs. City Attorney Dennis Herrera sued Tutor Perini in 2002 over such change orders in connection with a contract at the San Francisco International Airport. Tutor Perini did not respond to requests for comment. It’s those same change orders that the oversight contractor identified as potentially causing the Central Subway’s newest delay. When the oversight contractor visited the Central Subway Project in February, its inspectors found “limited construction activities” and “only” 30 workers in the Chinatown Station. The oversight contactor wrote “this indicates that (Tutor Perini) is not progressing the work as scheduled,” and could be one method of applying pressure on SFMTA in their dispute. “It is the (oversight contractor’s) opinion, if SFMTA does not resolve the challenging relationship issues with (Tutor Perini) by the first quarter of 2019, the RSD (Revenue Service Date) may go beyond the current proposed (federal) extension date of May 26, 2020,” the oversight contractor wrote. Director of Transportation Ed Reiskin, who heads the SFMTA, told the San Francisco Examiner on Tuesday that though Tutor Perini did employ limited staff in December and January, “I think it’s come back” in terms of staffing. Pushing back against Tutor Perini is an uphill battle, some advocates said. Elizabeth Alexis, co-founder of the advocacy group Californians Advocating Responsible Rail Design, calls herself a “Ron-Tutor-ologist,” having spent years researching the business practices of Tutor Perini. Compared to other cities, San Francisco actually seems to be faring well against the construction giant, she told the San Francisco Examiner. “In this case SFMTA’s been trying very hard to keep Tutor in line,” Alexis said. The effort to keep the Central Subway on track for its December 2019 debut has even played out publicly, though quietly. In February, the SFMTA Board of Directors partially terminated a contract with Tutor Perini to install trackway systems installation and train computer-control systems. In short, leaving the contract with Tutor Perini threatened to delay the Central Subway Project. Losing that contract cost Tutor Perini $18 million from an $839.6 million contract. While that may mean Tutor Perini isn’t running the project over-budget, yet, that danger still looms, the oversight contractor warned in its report. 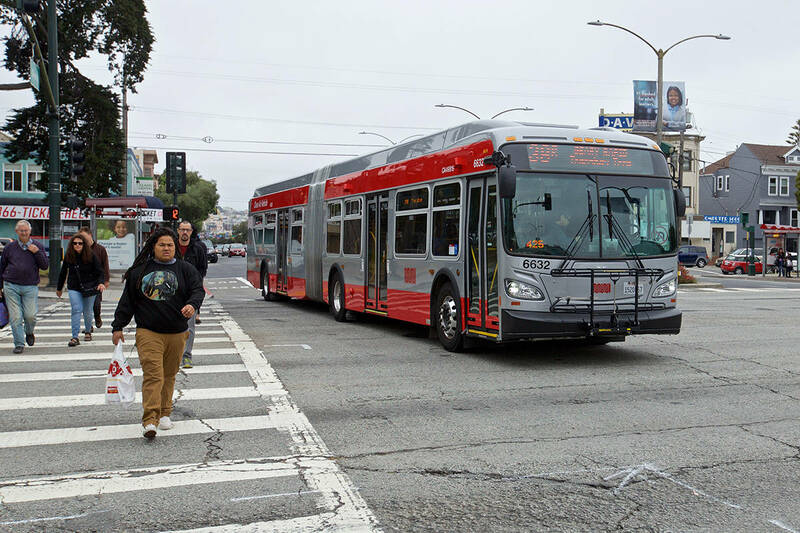 SFMTA is quickly nearing the end of its “contingency” budget, which is a budget specifically set aside to take care of delays and unforeseen problems. And if the contingency budget runs out, it will be San Franciscans footing the bill.